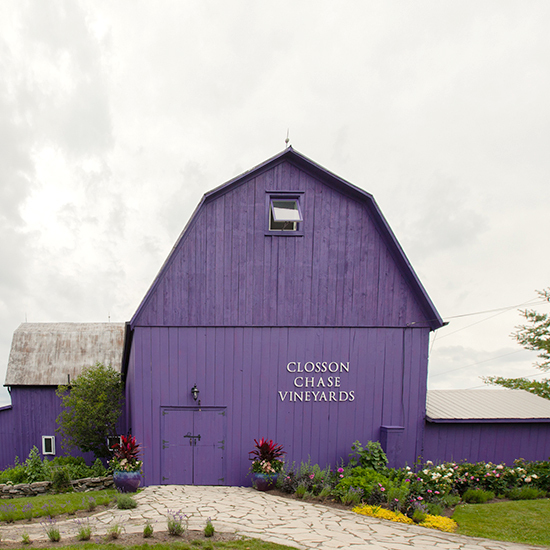 An incredible 150-year-old wooden barn, now Closson Chase’s tasting room, is what enticed a group of friends to purchase this property. Up the hill, winemaker Deborah Paskus designed a gravity-flow winery for her barrel-fermented Chardonnays and Pinot Noirs. 629 Closson Rd., Hillier; clossonchase.com. Since 1999, Caroline Granger has been growing grapes on her family’s farm, using the 1800s horse barn as the winery. Now her daughter, Maggie, is helping out in the vineyards, too, working to grow grapes biodynamically. 990 Closson Rd., Hillier; grangeofprince​edward.com. Husband-and-wife team Jonas Newman and Vicki Samaras use the County’s cool climate to their advantage, harvesting their grapes earlier than their neighbors to make lively sparkling wines. The two also have a winery in Greece. 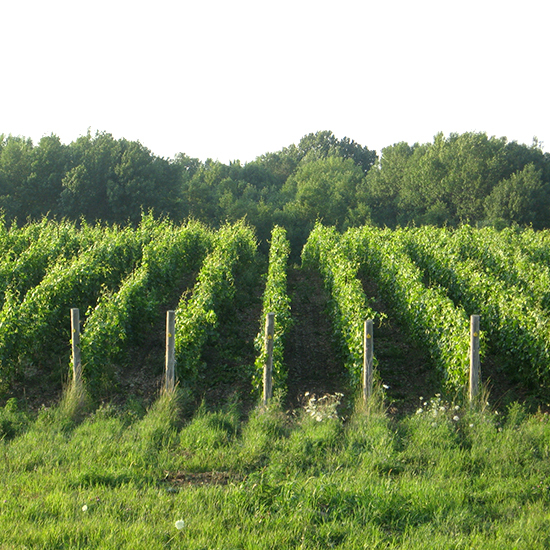 1258 Closson Rd., Hillier; hinterlandwine.com. During the week, Battista Calvieri is a microscopist at the University of Toronto, but he spends his weekends in his vineyards, on his blue Italian tractor—the only one he could find that would fit between his high-density rows. 562 Danforth Rd., Hillier; hubbscreekvineyard.ca. 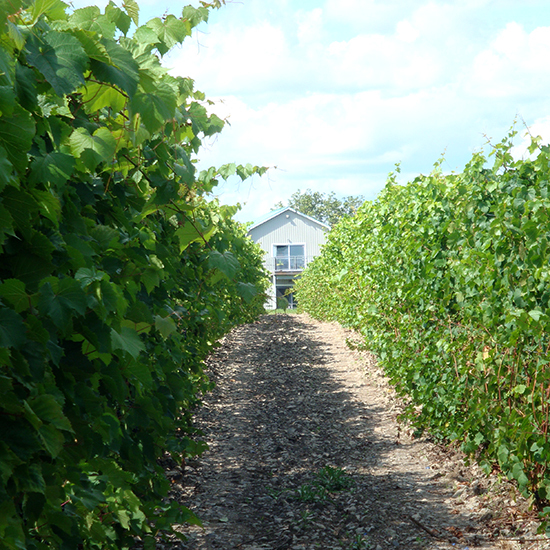 “Pinot Noir only likes to put its feet down in some places,” says James Lahti. 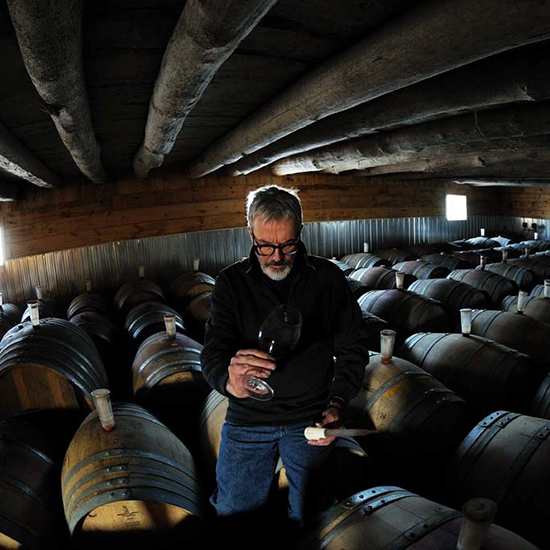 “And it likes it here.” He keeps his Pinots in barrel longer than most of his peers, resulting in silky, fragrant wines. 104 Brewers Rd., Milford; longdog.ca. 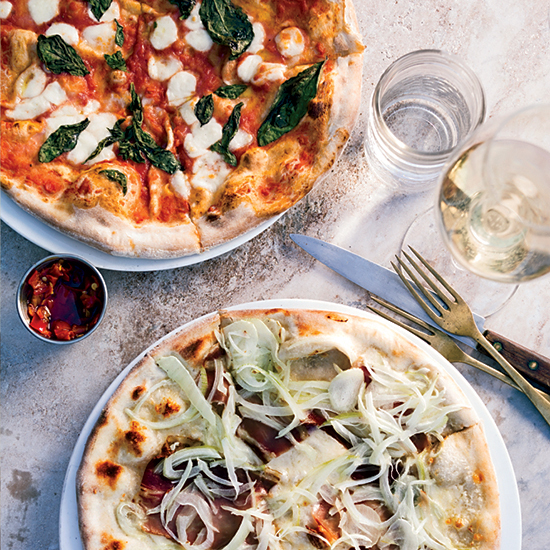 The crush pad at Norm Hardie’s modern winery is the place to be for glasses of his energetic wines, matched with wood-fired pizzas. 1152 Greer Rd., Wellington; normanhardie.com. Chemist Dan Sullivan has been making wine in Prince Edward County for 15 years, which means he’s a veteran by local standards. 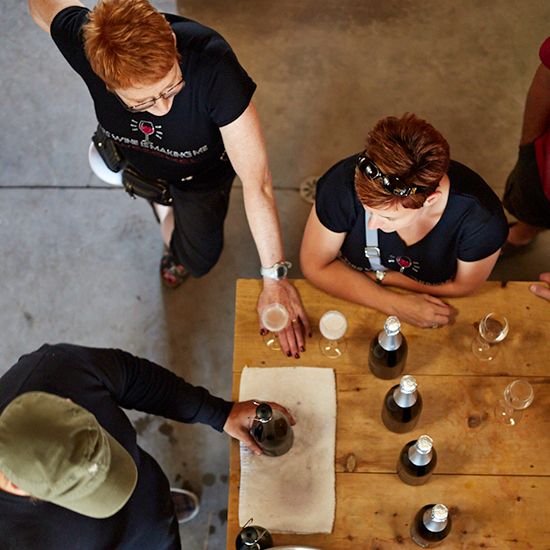 He’s become a guru and consultant for other winemakers in the area. 1243 Greer Rd., Wellington; rosehallrun.com. 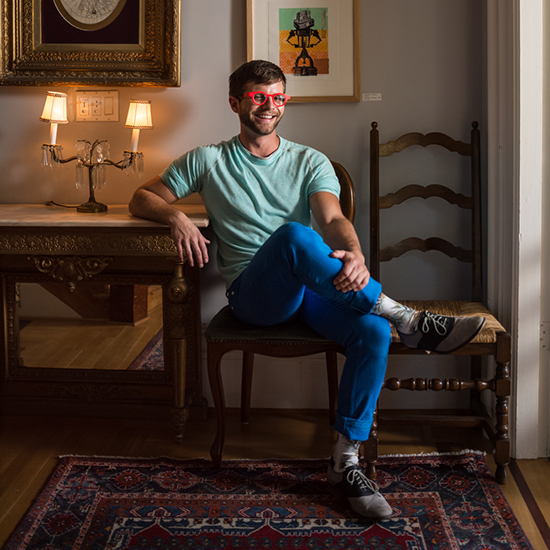 Twentysomething interior designer Alex Fida has gradually been updating his parents’ inn and adjacent motel, making the rooms colorful, refined and unexpected. At its restaurant, the Hubb, chef Elliot Reynolds gives due attention to local produce. Suites from $113; 433 Main St., Bloomfield; angelines.ca. 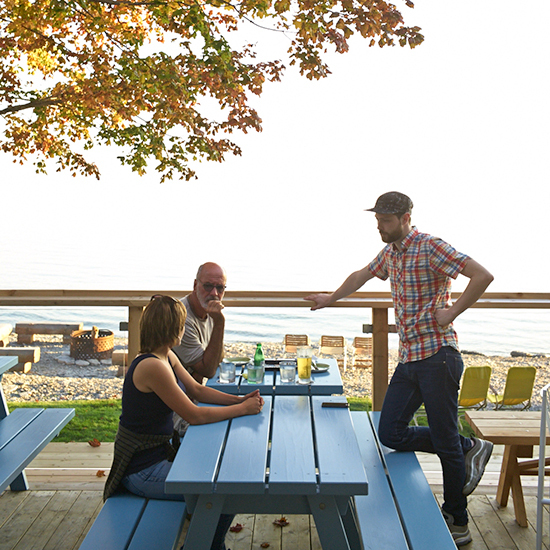 This newly opened inn, right on Lake Ontario, is part summer camp, part modern art gallery. There are hidden artworks around every corner and a bonfire pit at the water’s edge. Hotel chef Matthew DeMille is a master of thoughtful dishes that the locals come for every week. Doubles from $162; 24 Wharf St., Wellington; drakedevonshire.ca. 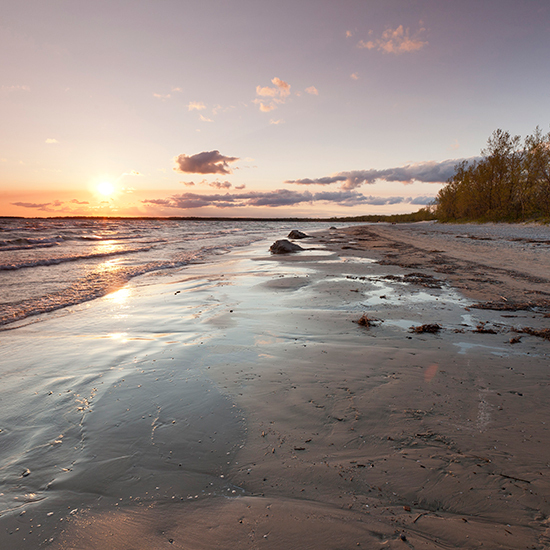 This enormous park that juts out into Lake Ontario has incredibly wide, sandy beaches, making it great for families. It’s also home to the terrific Sandbanks New Waves music festival every September. 3004 County Rd. 12, Picton; ontarioparks.com. 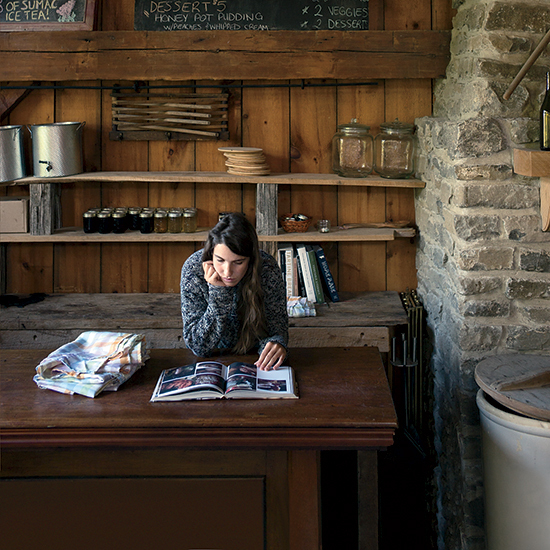 Shelley Durnin and Jenn Hardenne fill this dreamy general store with textiles and ceramics made by Canadian artists, as well as hand-beaded sunglasses and MacAusland’s wool blankets for when the weather turns. 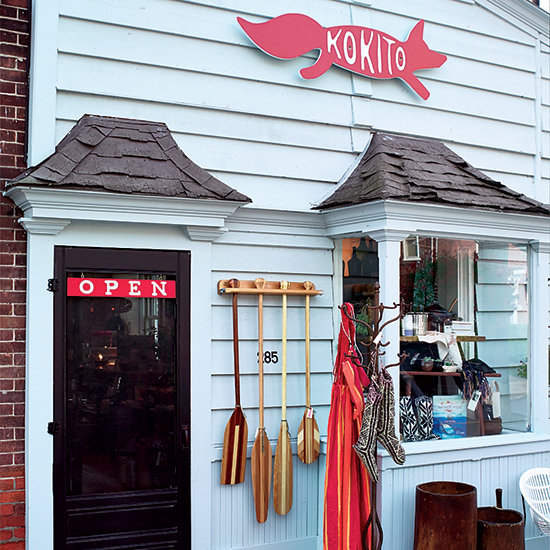 285 Main St., Bloomfield; kokito.ca. 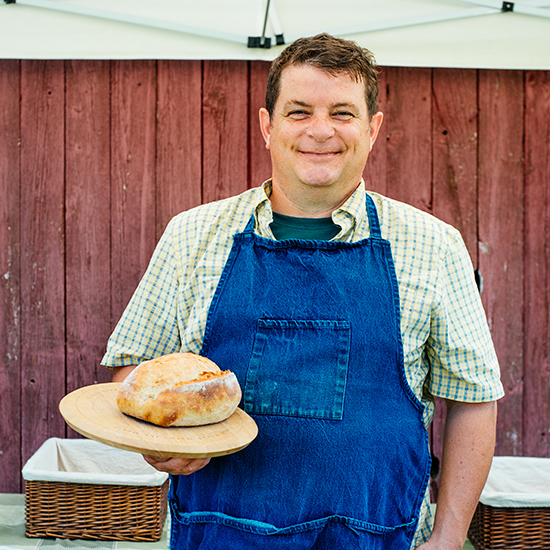 This Saturday-morning market is worth waking up for in order to get some of Henry Willis’s naturally fermented, wood-fired Humble breads and perfect poppy-seed bagels. 243 Main St., Wellington. 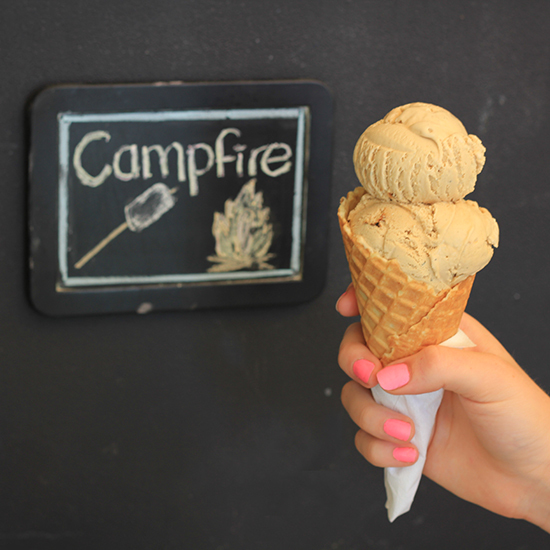 Everyone goes to this corner scoop shop for the Campfire (toasted marshmallow) ice cream, but the sleeper hit is the rich and tangy, magenta-colored blackcap berry, made with county fruit. 271 Main St., Bloomfield; slickersicecream.com.